I have a single Bluebell who is 5 years old. Her last friend died a few months ago and I don't like the thought of her being on her own as I don't intend on getting any more chickens. I would love to find her a new home for her final years. She still lays, but only a few times a week, has always had a large covered run to play in and is still very inquisitive and lively. I am in Bristol if anyone close is interested. I don't want anything for her and will even delivery her to you as long as your not too far away. Anyone interested please message me. 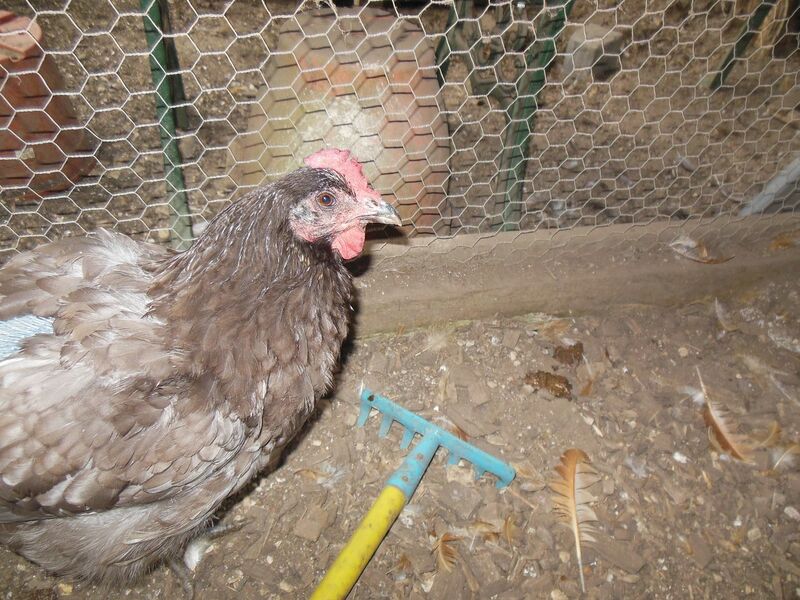 Sorry but I don't want your Bluebell but I have a chicken living on her own and she is as happy as Larry. When I moved 21 months ago I had 3, 2 passed on and I was concerned as to whether Bertha would live on her own....no problems. Thanks grannyof4, appreciate that. I have kept chickens for over 10 years now and never had one on her own. wouldnt be able to do anything until the weekend though if you can wait ? Hope she is not causing too much trouble! Thanks so much for having her, we are happy that she is no longer on her own and is going to have a lovely retirement. Shame the cockerel`s can not get a simiiar out come.